An auto body repair experience customized just for you! It is that time of year when many people are out searching for vacant hunting land in Wisconsin. Many others are still trying to get as much traveling in before school starts. Others are just out enjoying the gorgeous summer that Wisconsin has to offer. We, at On-Q Collision, have noticed that all of these travelers have one thing in common. They are seeing more and more deer crossing the roads. Be careful, the fawns are out exploring and momma is chasing them. We have had several deer related repairs come into our shop recently. 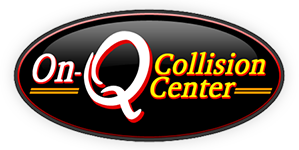 If you are one of the unfortunate humans who got a little to up close and personal with a deer, stop on in at On-Q Collision for a free, computerized estimate.